Philippi Village has ambitions to change the way local business in the area is conducted, offering the kind of A-grade office environment you might expect in the buzz of Cape Town’s trendier urban spaces. 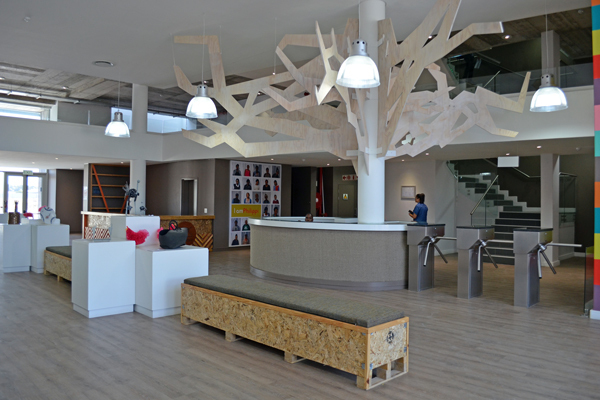 The building itself is a transformation of genius that was designed as a thesis project for a Masters in Sustainable Design by one of Cape Town’s acclaimed architects, Philip Briel. Intended to provide a space where people come to work to find inspiration, the clever integration of the debris from the demolished factory into the walls of the new building offers a tangible example of the idea that new and lovely things can be created in broken and abandoned places. 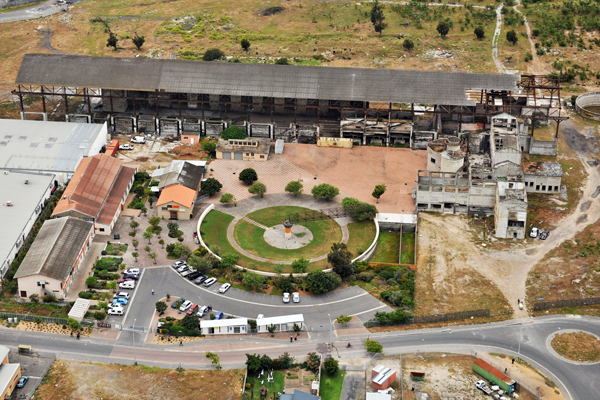 This all started in the early 2000s when The Business Place Philippi became the owner of the old cement factory premises. 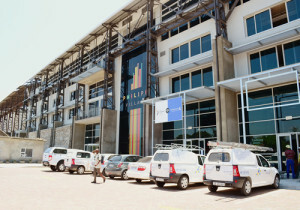 The Sustainability Institute at the University of Stellenbosch raised funding to partner The Business Place Philippi in conceptualising the project, which is intended to become a mixed-use development with light industry, housing, food gardens and even a hospital. The residential section and the gardens are planned down the line, but The Business Place Philippi has been operating since 2005 in a renovated smaller building on site where business support services could begin. This has seen significant uptake, and more than 4,000 people have been through its doors, all receiving business development services of one sort or another. The renewal of the much bigger factory precinct as a business office space required development funding of a completely different order. 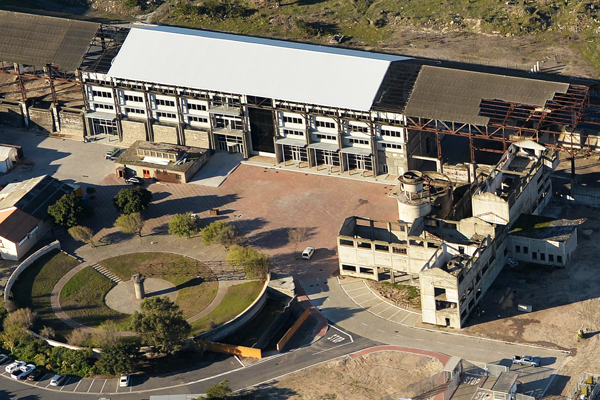 An R80-million cash injection has come in the form of a joint investment from the Bertha Foundation, based at UCT’s Graduate School of Business, and the Jobs Fund. This enabled the construction of the new Business Hub and set the ball rolling for the remainder of the project. Already the ground floor has been fully let. 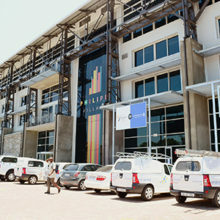 Half of the offices on the first floor, which has been configured to offer much smaller premises, have been taken up. 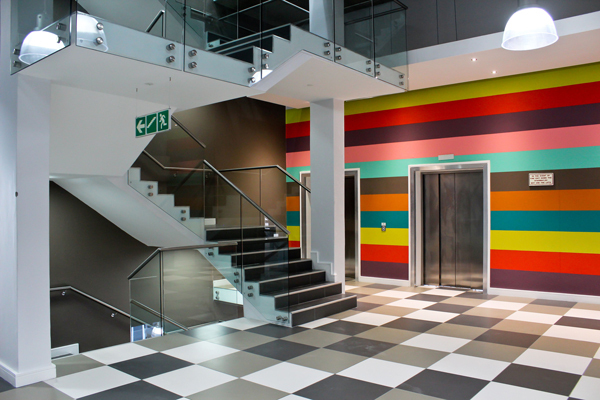 And the top floor has been designed to accommodate large companies such as call centres. A pre-primary school has opened its doors, a Leap Maths and Science Academy has begun operating and the Department of Coffees is about to start trading on the mezzanine concourse. A City Library will welcome readers soon in one of the bigger spaces on the ground floor. Alongside these are a number of entities which have a similar vision: to make a difference to the lives of people in the area. Abalimi Bezikhaya, which provides support to urban micro-farmers is there; so is the AfriCan Café which provides bakery and coffee shop skills training in remodelled containers which it runs as fully functioning coffee shops. Simphiwe Shoes is a small business startup. One of the founder members of The Business Place Philippi, Alan Fleming, designed a container-based fish farm, of which 2 prototypes operate on the property, growing 2 tons of tilapia per year. Conceptualised to bring commercial aquaculture into a poor urban environment, ‘The Fish Farm’ has captured several innovation awards already. The next phase at Philippi Village will see the launch of a Container Walk, situated on the property, which will be integrated into the Village. In this phase, which has been planned as the pilot for a bigger Container Walk, 24 remodelled shipping containers will be available to small businesses in a dedicated precinct. The design for these containers was put out to tender and the winning design, which was required to give business owners flexibility in how they configure their premises individually, is presently in production. The first 24 containers will all be occupied when they arrive on site – they are already fully subscribed and more are in the pipeline. 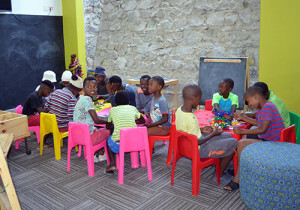 Amor Strauss, the general manager of Philippi Village, said that without advertising, within a five-day period, 250 people applied for occupancy of the 24 containers. She and her team decided to weed out those who were taking a chance from those who were serious about starting businesses and they called for deposits. Within a week from that decision, they had collected R60,000 in deposits. 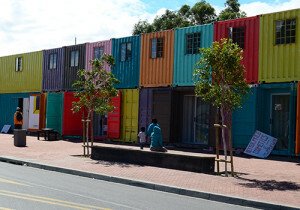 The Container Walk will open when Philippi Village is officially launched in September. The plan for the Village to be a creative space where people gather for more than just doing business will ultimately see the creation of a residential component, a light industrial zone and an area that will be called the Village Square housing food outlets and providing green spaces for socialising and relaxing. The design will see the transformation of further dilapidated structures on the property to become a user-friendly space for the people of Philippi. 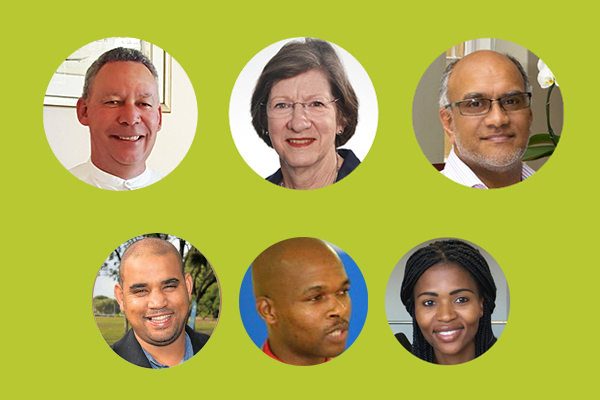 For Thomas Swana, CEO of the Philippi Economic Development Initiative (Pedi), the project is a no-brainer. 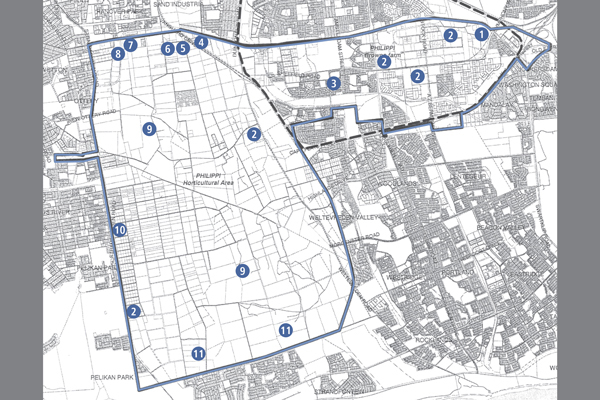 It is set in the heart of an area that is poised for greater development, with a raft of infrastructure catalysts either in planning or about to begin, that will change the way the suburb functions. Streets are to be upgraded, the MyCiTi bus system will be expanded into the area, and the two train stations that serve Philippi are to be modernised. Categories: Game Changers, Home, Latest News, and Press Releases.